Many people rely on buses each and every day. Even if you do not use a bus to get to work, perhaps your children use a bus to get to and from school. For travel, some people look to charter busses as a more affordable alternative to flying or a more convenient and stress-free alternative to driving themselves. But, what happens when the bus that you are riding on or have entrusted to get your children to school each morning has an accident? If you are injured, can you receive damages and who has liability? Buses, whether they are owned by a company or run by a state or town government (such as most school buses), fall under common carrier law because they offer a transportation service to people. Common carriers are any company or organization that supplies transportation to individuals or goods for a price. Common carriers abide by laws that differ from state to state and sometimes even town to town. If a carrier is transporting property or people across multiple states, then the federal government is the primary regulator of common carrier law in this case. At the federal level, common carrier regulation falls under the Interstate Commerce Act and its 1935 amendment through the Motor Carrier Act. Because of their size and precious cargo of passengers, operators of buses have a broad legal responsibility to show an extremely high level of care and safety when driving. You have a similar duty of attention when you are driving your car, but bus drivers have to take on an added level of care and concern for not only the road and other drivers but also the well-being of the passengers on board. An accident involving a bus follows a lot of the same processes as a typical car accident case would. All involved parties and available witnesses provide their testimonies to determine whose negligence caused the crash. Sometimes, there is more than one party at fault. When a bus driver is responsible for the oversight, the penalties can be much more severe for the driver, or his/her carrier company, because of the higher duty of care expected of them as a transporter of passengers. If you are a passenger on a bus that is involved in an accident and you sustain injuries, it is important to know how to recover damages and from whom, as liability can sometimes be difficult to discern in these situations. This is not always the case. If the driver acted in a way that they knowingly went against their training or company guidelines, then that liability can fall on their shoulders. This, however, is up to the carrier company to determine and not any of the victims. The process becomes even harder to navigate if the carrier is operated by a local or state government, as a school bus. This is very common. School buses, in particular, are involved in the highest number of accidents where a passenger fatality occurs. 37% of deaths caused by an accident with a bus are carriers transporting students. If this is the case, you have to file the claim in a relatively quick amount of time, as the statute of limitations is much stricter when a government-operated carrier is at fault. Each state handles this process differently, and there may even be additional forms and hurdles that you must traverse. Thus, the right bus accident lawyer is necessary to help ensure that this process is completed correctly and on time. In cases where the bus driver is not the negligible party, and another driver caused the accident, you will make a third-party claim with the insurance company of the driver for any damages, including things like medical costs or loss of wages. These bus accident claims usually result in an injury settlement. Philadelphia residents are familiar with the local public transportation system known as SEPTA (Southeastern Pennsylvania Transportation Authority). SEPTA operates several different types of transportation systems, including railways, subways, and trolleys. But perhaps the most common form of SEPTA transportation is its bus system, with a fleet of around 1,400 buses traveling over 100 different routes. Anyone traveling around Philadelphia and the surrounding Montgomery, Bucks, Delaware, and Chester counties has likely seen the white and red buses that serve a population of over 4 million people. The Southeastern Pennsylvania Transportation Authority (or SEPTA, as the locals call it) is the regional municipal authority that controls and operates the public transit systems in the Philadelphia metropolitan area. SEPTA runs a comprehensive subway, light and elevated rail, trolley, and bus system throughout Philadelphia. It provides public transportation for around 4.5 million people in that area, making it of critical importance to the livelihood of the city. Many people rely on SEPTA for their daily commute or to run errands, and many tourists use it as a way to navigate around the city to sightsee. Public transportation provides a convenient and inexpensive way to travel for many people. Because of the number of people who use SEPTA every day, any accident that involves SEPTA vehicles can be both very frightening and devastating, because the weight of the vehicles can cause serious damage and because of the number of people who are involved as passengers. When a mass transit vehicle is involved in an accident, it is usually because of an error on the part of the driver of the vehicle or a malfunctioning machine part. The causes of such accidents can include driver fatigue, improperly trained drivers, reckless drivers, malfunctioning equipment, or equipment that has not been properly inspected or maintained. If you or someone you love has been involved in an accident with a SEPTA vehicle, call our offices so that an experienced Philadelphia mass transit accident lawyer can look at your case. Driver Fatigue – Often, drivers of SEPTA and other mass transit vehicles work long hours and late shifts, or they work too many hours because of budget constraints, all of which can make them tired and can inhibit their ability to respond and stay sharp and alert. Because the vehicles they drive can weigh up to thousands of pounds, it is dangerous to have a tired driver in control of the vehicle. Whether a bus driver runs a red light or a subway driver veers off the track, a tired driver can cause a lot of damage if he or she makes a mistake while controlling the vehicles and can cause many injuries or even deaths. Improperly Trained Drivers – Anyone who drives or operates a SEPTA vehicle must complete a certain amount of training in order to be legally eligible to drive large mass transit vehicles. Unfortunately, if budgets are tight or manpower is low, many trainees have rushed training or their training is bypassed altogether in an effort to get them to work faster and to spend less money. Your SEPTA lawyer can look into the training of the driver of the vehicle involved in your accident to determine if their training was adequate. Vehicle Malfunction – The driver is not always to blame for SEPTA accidents. In some cases, the vehicle itself, whether it is a bus, subway, train, or trolley car, can malfunction and cause an accident to occur. This can happen for any number of reasons, but the most common are improper maintenance, ignored recalls of faulty parts, or failure to replace old vehicles. Documents about maintenance, recalls, and repairs can be accessed by your lawyer. Reckless Driving – If a driver has any citations or has been suspended, it is kept on record with the mass transit authority. If there is a chance that the driver of your vehicle engaged in reckless driving, your lawyer will have access to the documents on that driver to see if the driver has a history of reckless driving. Equipment Issues – SEPTA mass transit vehicles must be inspected regularly in order to stay in prime working condition and provide safe transportation for passengers. If the vehicles have not been properly inspected or maintained, whether due to carelessness or financial issues, that could have been the cause of the accident. Your lawyer will also be able to access these documents and discover if poor inspection and maintenance caused the accident. Our Law Offices work with individuals who have been injured in SEPTA accidents in Southeastern Pennsylvania, including Bucks, Chester, Delaware, and Montgomery counties, and in Philadelphia itself. Our lawyers have extensive experience working with these kinds of cases and are knowledgeable about the best ways to go about SEPTA cases in order to make sure that you receive compensation for any injuries you received in the accident. Because there are time constraints on when you can file cases against SEPTA, do not wait – call our offices today at 215 735 4800 for your free consultation. Public transportation is usually a very safe, convenient, and cost effective way for people to travel or commute. However, because these buses are so common around the Philadelphia, the likelihood of being involved in an accident as a passenger on a SEPTA bus also increases. Each year, there are hundreds of accidents involving SEPTA buses on the roadways of Philadelphia and the surrounding areas. As a result, people who rely on these buses for transportation to commute to work or to get around the city are at risk of being injured in a SEPTA bus accident. If this has happened to you or someone you love, reach out to one of our experienced Philadelphia SEPTA bus accident attorneys to help you with your case. You may be entitled to receive compensation as an accident victim of a bus accident. Bus accidents are often caused by driver error. If the bus driver is fatigued or overworked, they may be paying less attention than they should and could drive carelessly, causing an accident. If the driver was not properly trained, they may make a mistake operating the bus on a busy road. Additionally, if there is an issue with the bus itself and a part malfunctions or was improperly installed or repaired, an accident is likely to occur. Legally, SEPTA is at fault for driver errors or for bus malfunctions, but accident victims may face issues pursuing their claims when they are injured in a bus accident. One of the biggest issues that passengers on SEPTA buses face in accidents is the extent of their injuries. Bus accidents can cause unexpected and severe injuries depending on the speed and the type of impact that occurs. Buses often get full of passengers, causing some to have to stand up and hold onto a bar or strap. Even passengers who are seated do not have seat belts to protect them in the event of a crash. This means that collisions can cause passengers to fall or be thrown inside the bus, which can cause serious injuries like broken bones, head trauma, cuts and bruises, or spinal injuries. These injuries could mean hundreds or even thousands of dollars in medical bills and could have lasting effects on your ability to work and earn an income. In these cases, it is important to get in touch with an attorney to ensure that you receive compensation to cover your injuries and other expenses and damages. It is also the case that SEPTA buses are sometimes involved in accidents with cars or other vehicles on the road. Because SEPTA buses are so large and heavy, they can cause serious damage to smaller vehicles when they collide with them. This could cause major damage to the other vehicle and could cause injuries to the people in the car as well as passengers on the bus. Accident victims in these cases could also face serious injuries and need the assistance of an experienced attorney to help them receive compensation. Bus accident victims also face many other potential issues even beyond treating their immediate injuries and medical problems. Some injuries may cause disabilities or paralysis and require long term care, sometimes even lifetime care. Accident victims may also suffer from grief, depression, or emotional distress, pain and suffering, and post-traumatic stress disorder that will require counseling. Victims should be compensated for these issues as well beyond just out of pocket medical bills and expenses. Unfortunately, dealing with a state operated agency like SEPTA presents its own set of legal issues that often complicate cases for accident victims. First, state agencies are often protected by sovereign immunity, meaning that an individual cannot sue the state agency directly if they were hurt in a bus accident except in certain cases authorized by the legislature. And even if it is authorized by the legislature, there may be limits to how much you can recover for your injuries, meaning that you may not be able to receive adequate compensation without a lawyers assistance. Second, there may be specific laws that control various aspects of lawsuits against transportation systems like SEPTA. Because of the complications of SEPTA bus accident cases, it is important to have the assistance of a qualified Philadelphia attorney to help you with your case. Transportation systems like SEPTA are called common carriers and are subject to certain standards of care for their passengers. This means that SEPTA is responsible to fulfill that high standard of care when transporting passengers and must ensure that passengers are kept safe. Otherwise, they will be considered under the law to have acted negligently. However, there may still be issues of sovereign immunity because of SEPTAs position as a state agency. Your SEPTA accident lawyer will help you understand how to pursue your claim and work to ensure that you receive the right amount of compensation for your injuries. 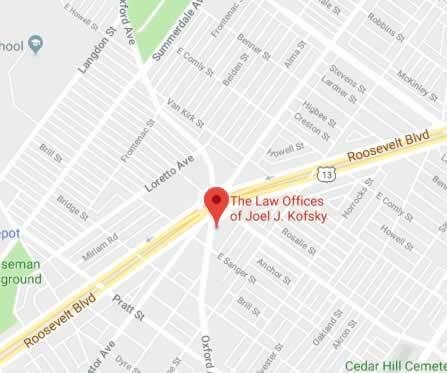 The lawyers at the Law Offices of Joel J. Kofsky know that it can be intimidating to pursue a claim against a government agency like SEPTA. We do not want bus accident victims to feel that they have to handle their case alone, and we will work zealously on your behalf to ensure your rights are protected and that you are compensated for all of your injuries, property damage, and any other damage or expenses caused by the accident. Contact our office right away for a free consultation with one of our attorneys at the hospital, at your home, or at our offices. Thousands of people in Philadelphia and the surrounding metropolitan area count on SEPTA, or the Southeastern Pennsylvania Transportation Authority, to get them from place to place safely. SEPTA is the sixth largest rapid transit system in the United States based on ridership (serving around 4.5 million people), and it operates 121 bus routes in the Philadelphia area, most within the confines of the city itself. With the number of buses on the road and passengers on each bus, the chances of an accident involving a SEPTA bus are relatively high, which can be a frightening reality to the number of people who count on them to provide safe transportation. Furthermore, the results of such an accident can have significant effects on those riding the bus. If you have been injured in a SEPTA bus accident, you need to talk to a personal injury lawyer who specializes in SEPTA cases. Our attorneys have handled many cases involving buses operated by SEPTA and will know the best way to navigate your case. In many cases, you could receive compensation after the accident if you were injured in the accident, whether it was physical, mental, or financial. Our offices have handled SEPTA cases in Bucks, Chester, Delaware, and Montgomery counties as well as many in the Philadelphia area. Our twenty years of experience means that we are well equipped to handle your particular case. An accident involving a SEPTA bus can occur for a number of different reasons. A common reason is that a driver is improperly trained or made a mistake while driving. SEPTA bus drivers must complete a certain amount of training and recertification in order to operate a SEPTA bus. However, sometimes this training can be cut short or overlooked in an effort to save money or get more drivers on the routes as quickly as possible, which can cause driver errors. Your experienced lawyer will know what kinds of training the drivers are required to complete and will be able to access documents and records to show whether the driver had successfully completed the training. Your SEPTA bus accident attorney will be able to access records to prove that SEPTA and its employees were responsible for the accident, including any ignored recalls or inadequate training of drivers. They will then be able to get the compensation you deserve. 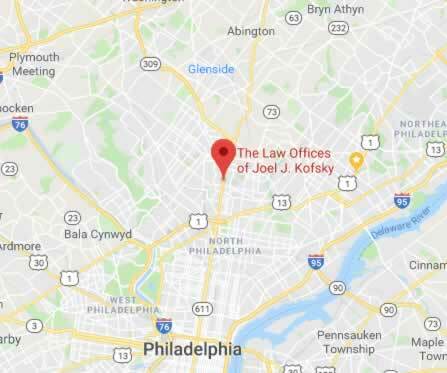 We have over twenty years of experience handling cases involving SEPTA buses and personal injury cases in the Philadelphia area, and we will provide you with the best legal representation in order to help you through the process of filing your claim and getting the compensation you deserve for your medical bills and your pain and suffering. There is a statutory limit on the amount of compensation you can receive from SEPTA, so it is crucial to have a skilled lawyer on your side to make sure you get the full amount. There is also a time limit on when you can file your claim, so do not wait to call our offices to get your case started today.